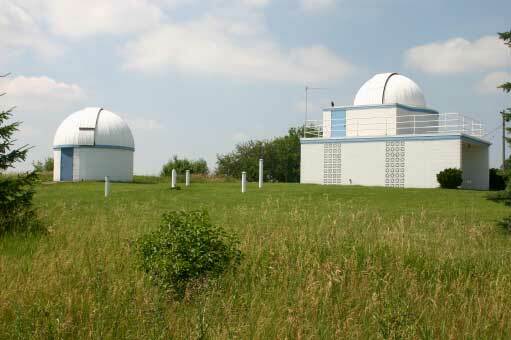 The Modine Benstead Observatory includes two domed observatories as part of the facility. The main building includes the 16-inch telescope, an observation deck, library and meeting room. 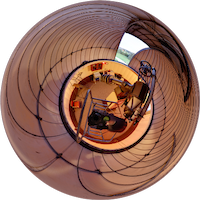 The smaller domed building houses our 14-inch telescope. 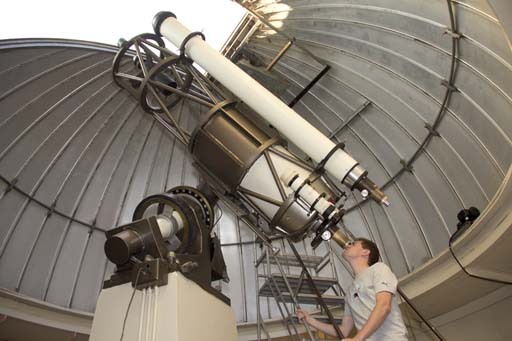 The observatory's main instrument is a custom designed 16-inch Newtonian-Cassegrain reflecting telescope. The mirror was figured at Kitt Peak Observatory. The telescope was designed and built by club members and local industries. The telescope is mounted on a custom German equatorial mount. Attached to the main telescope is a 6-inch refractor which is used as a guide scope. 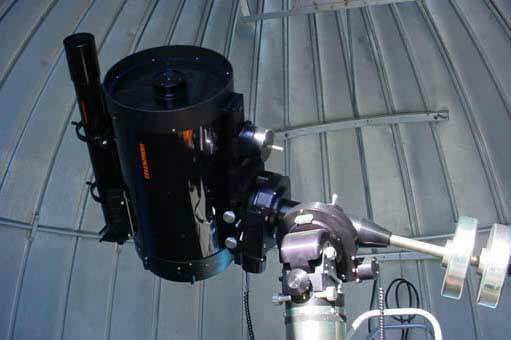 A 5-inch astrograph refractor can also be attached to the telescope. The smaller domed building houses a 14-inch Celestron Schmitt Cassegrain reflecting telescope. The telescope is mounted on a Lomansdy German equatorial mount. We welcome you to come out to our public nights and view the skies through our telescopes. We are located at the intersection of Hwy. A and 63rd Drive in Yorkville.